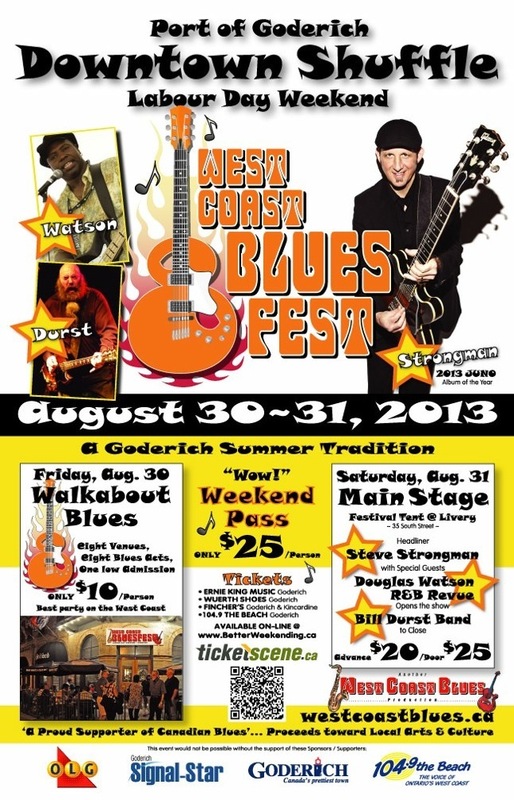 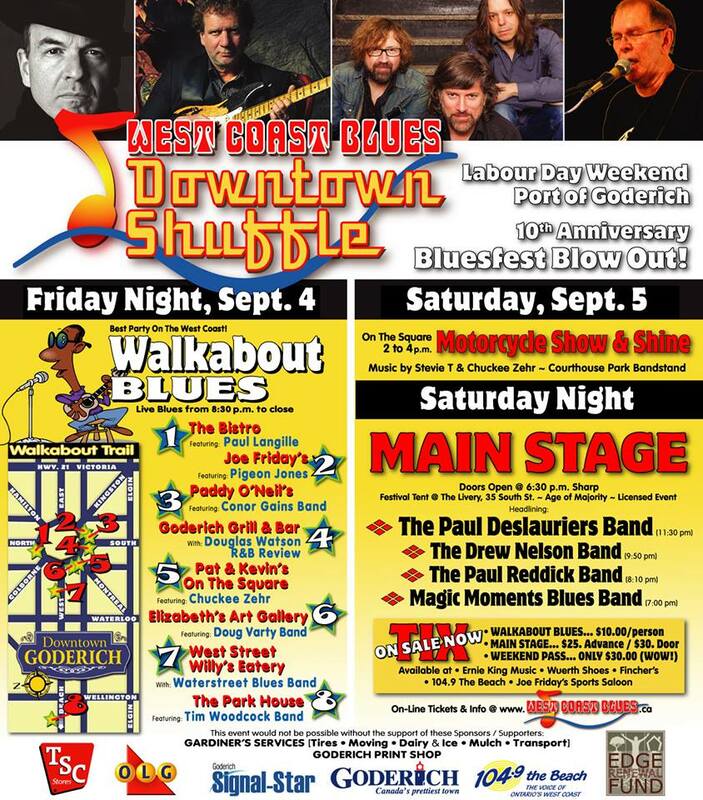 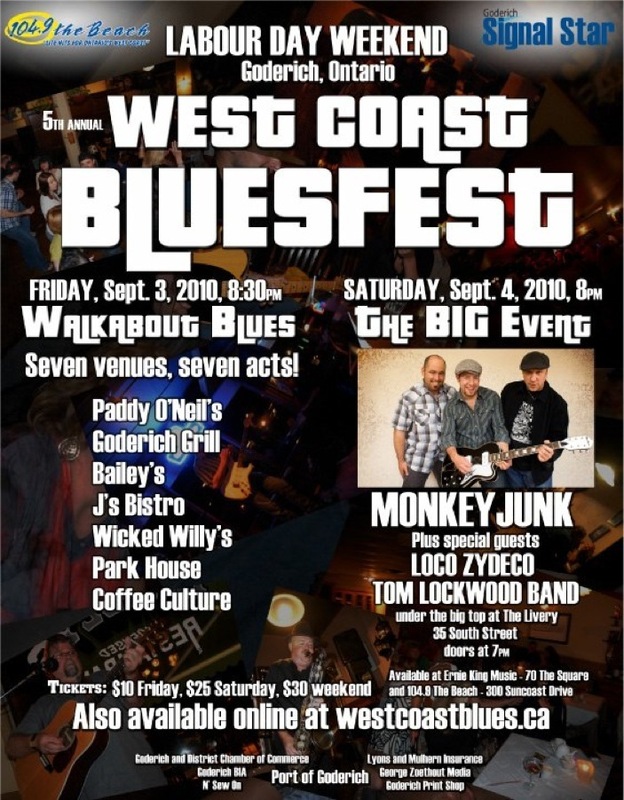 2nd Annual West Coast Bluesfest was held on July 27th, 2007. 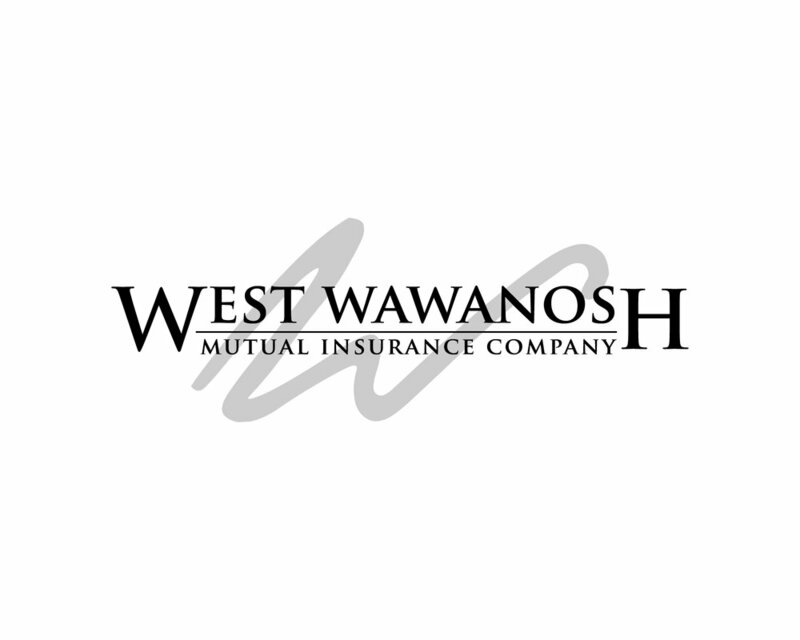 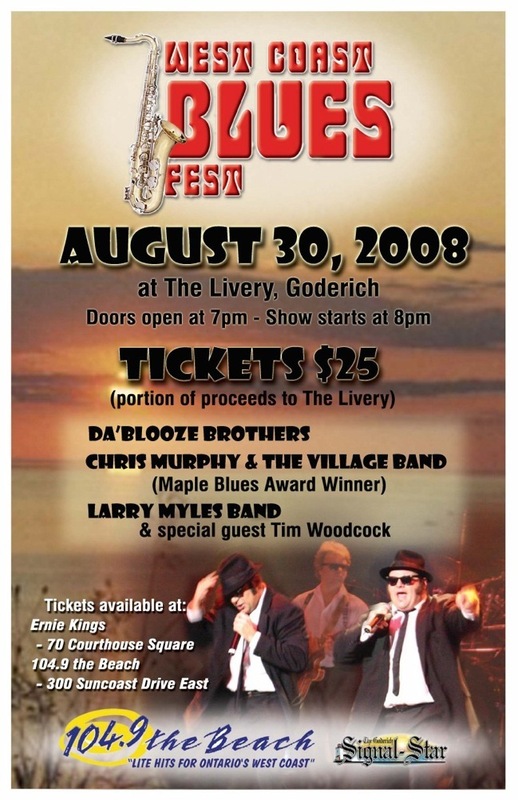 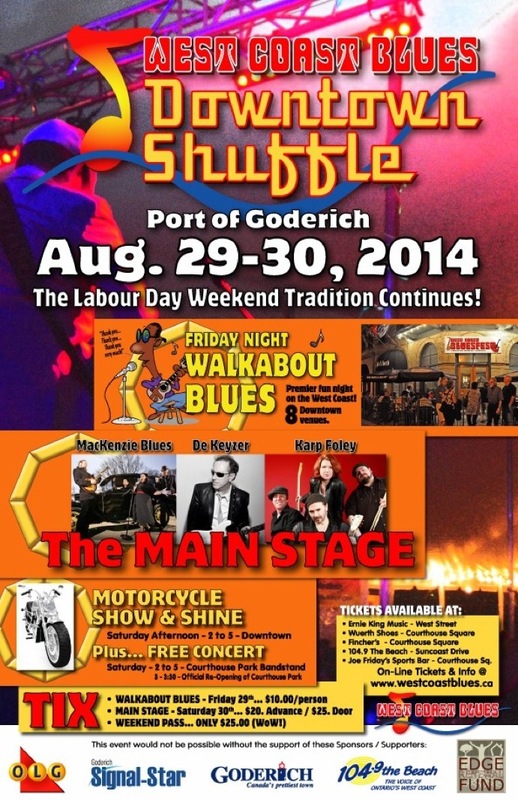 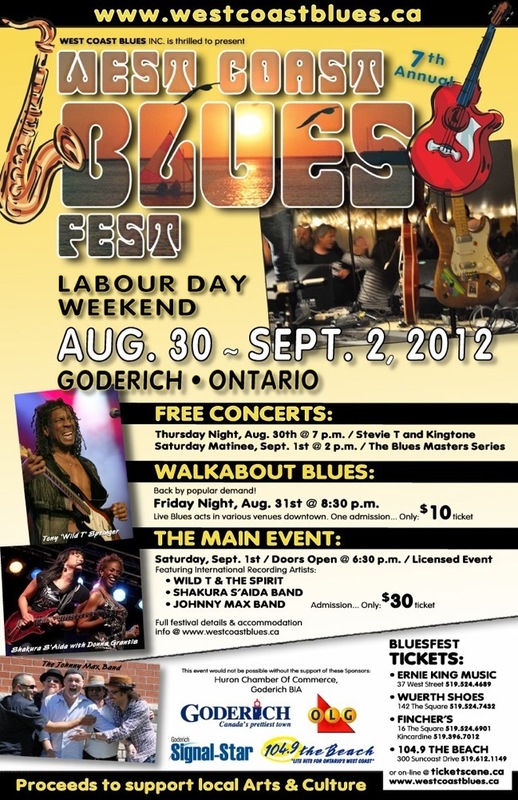 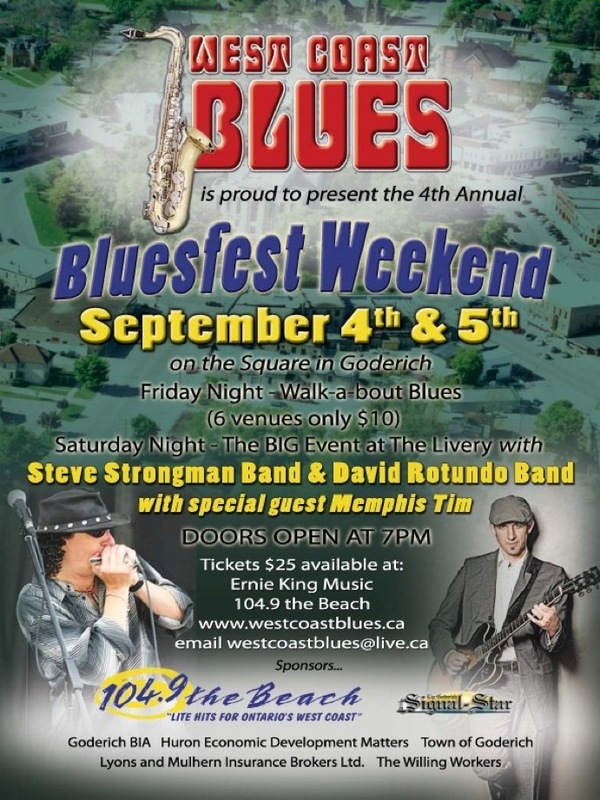 The event was sponsored by The Goderich Kinsmen and was held on the main beach, Goderich. 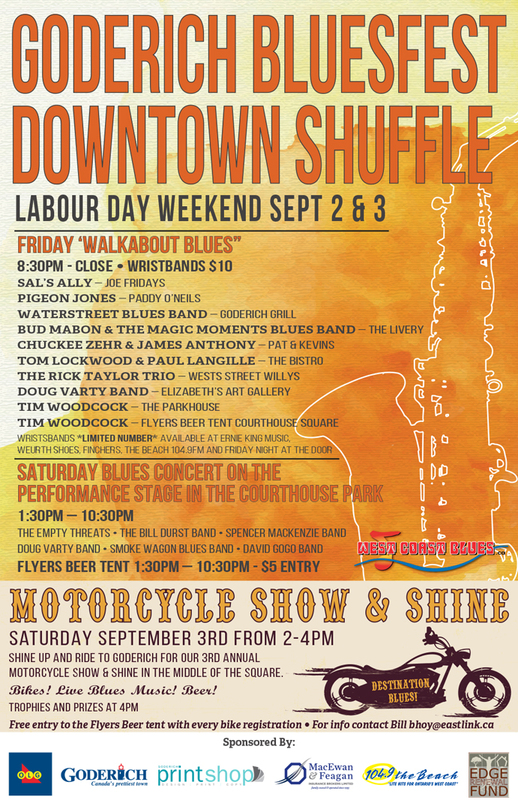 A beautiful sunny day, well attended... bands played continuously from 12 Noon to 1:00 a.m. and featured some of the finest National and International Blues artists. 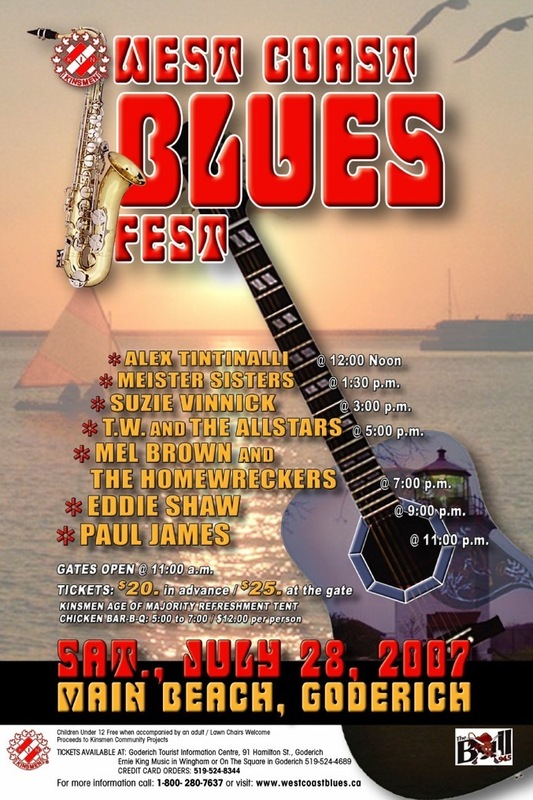 A spectacular sunset and Great Lake Freighters added to the ambience of this great event.